We offer a unique range of summer collection bags, which are available in various trendy designs and appealing patterns. These fashion bags are charmingly crafted in various sizes and finishes by experienced artisans using premium quality material. 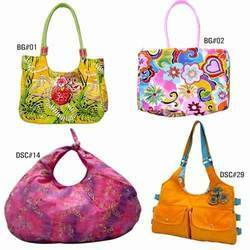 Specifically meant for summer season, these bags can also be customized as per clients' specifications. 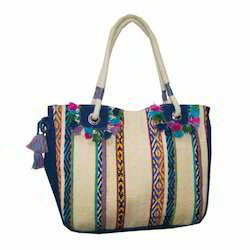 Carry your personality with wide range of ladies fashion bags, designer handbags, beaded handbags, wholesale fashion bags, summer designer handbags, evening handbags, fashion embroidered bags and beaded fashion bags, exhibiting scores of theme based designs in eye catching colors. Elegant summer hand bag with European embroidered design.